Levels of antiphospholipid antibodies, which are associated with rheumatic diseases, are also elevated in myocardial infarction without any autoimmune co-morbidity, a study from Karolinska Institutet in Sweden published in The Annals of Internal Medicine reports. Inova Diagnostics, a worldwide leader in autoimmune diagnostic reagents and systems for the clinical laboratory, announced today that it has received 510(k) clearance by the U.S. Food and Drug Administration on key QUANTA Flash assays for use with Inova Diagnostics' BIO-FLASH chemiluminescent analyzer for autoimmune testing. Researchers at UT-Southwestern Medical Center have found that the most common variant of the circulating protein apolipoprotein E, called apoE3, helps repair the lining of blood vessels. Individuals with another variant, called apoE4, do not get the benefit of this repair, putting them at higher risk for cardiovascular disease. Epilepsy is a group of neurological disorders often characterized by seizures and cognitive impairment due to electrical disturbances in the brain. Patients with an autoimmune disease have a 3.8-fold increased risk of developing epilepsy, according to a new population-level study from Boston Children's Hospital based on health insurance claim data. Researchers at Hospital for Special Surgery in New York City have identified a biomarker that may predict poor pregnancy outcomes in lupus patients. Using Facebook chats to convey health information is becoming more common. A study at Hospital for Special Surgery (HSS) in New York City set out to find the best way to boost participation in the chats to raise awareness of lupus, an autoimmune disease. Researchers have raised the possibility of an increased risk for developmental delay in the children of mothers who used azathioprine for systemic lupus erythematosus during pregnancy. 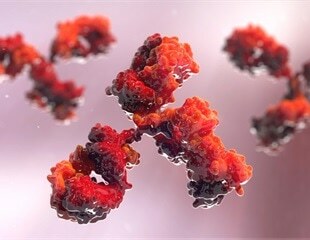 Rituximab, a drug used to treat cancer and arthritis, may help patients with antiphospholipid antibodies (aPLs) who suffer from aPL-related clinical problems that do not respond to anticoagulation, such as cardiac disease and kidney disease, according to a new study by rheumatology researchers at Hospital for Special Surgery. The study appears online ahead of print, in the journal Arthritis and Rheumatism. Hospital for Special Surgery physician-scientists who focus on arthritis, lupus, vasculitis and related conditions are traveling from New York City to Chicago this week to share their recent findings at the 75th Annual Scientific Meeting of the American College of Rheumatology. Motivated by the lack of treatment options for patients with antiphospholipid syndrome, rheumatology researchers convened an international committee to address the problem directly. Thanks to findings by UT Southwestern Medical Center researchers, individuals with a potentially life-threatening condition predisposing them to blood clots, or thrombosis, might someday receive therapy to prevent the condition. Antiphospholipid Syndrome (APS) is a condition that may be responsible for up to one-third of strokes in people under age 50, up to one-fifth of all cases of blood clots in large veins, and one-quarter of recurrent miscarriages. Nonetheless, relatively few randomized clinical trials have been conducted involving people with APS, and those completed have included small numbers of participants. Today Phadia announced that it has received FDA 510 (K) clearance for four new EliA autoimmune antibody assays. These new assays will provide physicians with additional tools needed to aid in the diagnosis of Antiphospholipid Syndrome. The newly available EliA assays, anti-cardiolipin (aCL) IgG/IgM and anti-B2-glycoprotein 1 (anti-B2-GP1) IgG/IgM, have proven to be essential, sensitive, and specific markers to aid in the diagnosis of APS. Researchers reported today that Soliris® (eculizumab), a first-in-class terminal complement inhibitor developed by Alexion Pharmaceuticals, Inc., may provide clinical benefits to patients with thrombotic microangiopathy (TMA) resulting from uncontrolled complement activation. TMA, the formation of blood clots in capillaries and small arteries, can lead to life-threatening damage in multiple organs including kidney failure, thrombocytopenia (abnormally low platelet count) and anemia. Corgenix Medical Corporation, a worldwide developer and marketer of diagnostic test kits, has announced the availability of its new automation friendly anti-phospholipid assay format. Hospital for Special Surgery researchers have found that statins may be able to prevent miscarriages in women who are suffering from pregnancy complications caused by antiphospholipid syndrome (APS), according to a study in mice.